There are multiple factors to consider when discussing sickness and immunity, from lack of exercise, to a poor diet, to ingesting thousands of toxins. We also have come to believe that vaccines are the reason we don’t get sick. But there is one single factor most people don’t consider that can make or break our immunity – the makeup of bacteria in our bodies. It’s important for parents to at least consider the potential dangers and lack of necessity of vaccinations. Now some pediatricians are withholding treatment for children whose parents’ have rejected all or some vaccinations – this simply isn’t right. But it’s important not to cave in to those pressures, and continue researching vaccines from multiple sources. Dr. Paul Offit once publicly remarked that children can safely receive 100,000 vaccines at once. He later changed that to 10,000. Unfortunately, this leading pediatrician who holds influential University and Clinical positions has media clout and has been interviewed often. He has written publications refuting vaccination dangers and condemning those who refuse vaccinations for their children, even to the point of encouraging pediatricians to not provide care for children not vaccinated. Of course, Offit has made sure Merck’s Rotavirus vaccine Rotateq® is included as part of early childhood vaccine schedules. Merck awarded Offit a grant of $350,000 to help develop the vaccine, and he has partial patent rights as well, which have recently been sold for a one time healthy profit of $180 million. This undoubtedly is not the only conflict of interest. Offit has made these outrageous claims of the vaccination capacity of infants, while assuring their immune systems are able to handle quite a bit in their newly inhabited world. Though passed on by mainstream media without question, his statements are totally false. But his authoritative bluster does intimidate or confuse the public while boosting his vaccine industry revenue. At a vaccine seminar, Dr. Michael Geta was part of a four member panel answering questions from the audience. One audience member asked why infants are getting vaccinated before the age of one when their immune systems aren’t developed enough for vaccine immune responses. The person on the panel to whom it was addressed, a PhD vaccine advocate, surprised Geta when she told the questionnaire his understanding was accurate. She explained that early scheduling was a training exercise to start parents vaccinating sooner since they might forget after the child reached one year. The PhD, whose name was withheld by her request, went on to explain how a county nurse had asked her to encourage parents to get their kids vaccinated after one year of age because the ones they got before then were worthless. The Ph.D responded to that nurse with “Yeah, I know.” The audio clip is here. Dr. Natasha Campbell-McBride, author of Gut and Psychology Syndrome Book (GAPS book) and creator of the GAPS diet goes further. She is a UK pediatrician who successfully treats autistic and other mentally and physically dysfunctional children by nutritionally restoring gut flora. She learned how by treating her own son’s autism. She agrees that mother’s breast milk is crucial. But not all mothers breast feed, and many who do may have other problems that hamper the milk’s protection. According to Dr. McBride, the problems begin with the mother’s intestinal flora. The mother passes on her gut flora to her newborn. So the mother’s gut flora strength and balance is critical. Most mothers who were not breast fed initially and grew up on standard American diets (SAD) while receiving vaccinations and antibiotics have compromised gut flora. Adequate probiotic and balanced gut flora accounts for up to 80% of our immunity. As part of parental planning, it makes sense to maintain a good diet, take in probiotic foods and/or supplements, avoid antibiotics and vaccinations, then breast feed the child for at least a year. Interestingly, a recent report says that breastfeeding could save 830,000 lives each year. Vaccinations and antibiotics given to newborns and older children only puts them at risk for debilitating long term neurological reactions, among other issues. If they escape without the obvious immediate adverse reactions, their long term immunity is often heavily impaired. I truly believe that constipation issues should be included in his discussion. Doctors are prescribing miralax like it’s water to help children with their bowel movement habits. It’s well documented the peg 3350(the only ingredient in miralax) affects the gut flora. Then we vaccinate these children who have gut issues and now we have opened Pandora’s box to potentially life changing health issues. Constipation is on the rise since we introduced GMO foods and the issue is only getting worse; couple that with the current CDC vaccination schedule and we have serious issues. If indeed, 1/2 children have autism by 2032 I don’t know how we would be able to reproduce healthy offspring. Already 1/20 children under 5 have epilepsy; why is that? Hard to believe we should look at the gut to resolve a neurological condition. Our sons last seizure was one year after he was diagnosed, we have made a very compelling case that the anti seizure medication did nothing and re-establishing his gut flora healed him. Trust your gut!! If people would only do the research themselves, they would find how big a sham this practice actually is. Avoid aborted human fetal cell vaccines like the plague. There are alternatives. disease rates – autism, allergies, asthma, diabetes, cancer etc. between vaccinated and unvaccinated children. Hi Kerry, the article is more about invalidating vaccinations and promoting a mother's breast milk and intestinal flora to support her child's health. I am restricted by word count and yes, I think a short article introducing a topic for further inquiry is valid. There are links below. I'm not selling probiotic supplements. But thanks for adding the information. I personally make my own probiotics by creating raw milk kefir and water kefir with "starter grains". gut flora? what if the virus is contracted through the respiratory system? This is bogus. the autism link has already been refuted and the Dr. that started the whole mess lost his license. Guess what? He was working for a rival drug company producing a different vaccine. I guess he was one of the evil big pharma people to, or he is just a greedy scheister doctor because they do exist. Usually they are supporting some outlandish medical theory that has no basis in science. You can see these "Drs" on TV shows like Dr. OZ. He believes in faith healing and psychic mediums. If he was a good doctor he would be practicing medicine not making bad TV shows. Dr. Drew is in this category to. They do their audience and their patients harm and should be stopped. You sir are obviously a shill who hasn't kept up with the facts of that doctor (Wakefield) who had his medical license stolen by the vaccine industry's other lying shills. He was never working for a rival vaccine company. You aren't even tracking with this article's content – JERK!. Take your science basis that can be twisted according to industry agendas and shove it where the sun don't shine. I don't mean your brain, even though you are an opinionated idiot! People like you should be stopped from saying anything except shoot me up with those vaccines Doc! It is interesting that every time there is a well written article on the issue of vaccines, and how they are not necessary there are always a few commentators poo pooing the messenger, and the story. I consider myself well educated, and it makes perfect sense to me that healthy gut flora protects us from illness, and that vaccines are dangerous. What more do you need to come to the same conclusion? Very true and thank you Nancy. The vaccine industry has a lot of shills trolling sites and articles like this to try and confuse the issues. If your going to do an article on "gut flora/Probiotics" you should give the reader some idea as to what exactly they are or give them a link to follow so they don't have to go do a search for this information. Just a basic name or description would help tremendously and it would add more credibility to your article, since that is what your article is about….The main members of this group are: Bifidobacteria (Bifidobacterium bifidum), Lactobacteria (Lactobacillus acidophilus, Lactobacillus plantarum, Lactobacillus rhamnosus), Propionobacteria, Peptostreptococci and Enterococci. Beneficial flora is made up of beneficial or good bacteria also called probiotic. 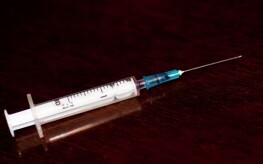 Vaccines packaged in vials for multiple doses contain preservatives. Single dose vaccines don't contain preservatives. Babies don't have a blood/brain barrier to protect the brain from the damaging effects of preservatives. The recent trouble with compounding pharmacies selling contaminated injections intended for spinal use highlights the fact that knowledgeable doctors don't want to inject preservatives into the spinal cord, even in adults! Yet they inject babies without the slightest hesitation. Is it any wonder that autism has gone from 1:500 to 1:50? I can’t seem to locate the credentials for the author. What I found is that he’s a writer and blogger. So he’s making money by providing false info to people who are just looking for someone to tell them what they want to hear. They call it “research”. Lol. This is bat shittery at its finest. I am skeptical when I read an article with no references/studies to back up the authors comments. And an article with advertising in it?? Anyone can write an article like that what people need to hear is evidence based information with solid large scale studies to back it up.look at the number of babies and childen who died in the past from now preventable diseases compared with the number today. And some diseases are now completely eradicated because of vaccines. I'm about to get hired at a local hospital, and I'm going to be REQUIRED to take a flu shot, even though I've not had the flu once ever (44 years old now). They allow exceptions only for religious or medical reasons. [ Smiles ] I never really believed in vaccinations in the first place!